The admiration is mutual when McVay discusses Payton's offence. The Saints have been among the NFL leaders in offence since Payton arrived in New Orleans and recruited then-free agent Drew Brees to join him in 2006. Currently, the Saints rank eighth in yards per game (389.9) and second in points per game (33.4). 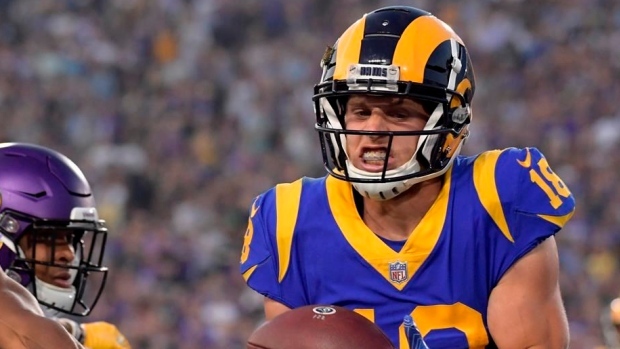 The Rams offence, with 2016 top overall draft choice Jared Goff under centre, rank second in yards (442.6) and third in scoring (33). The Rams already had the league's eighth-ranked defence before the addition of edge pass-rusher Dante Fowler at Tuesday's NFL trade deadline. In seven games with Jacksonville this season, Fowler's highlights included two sacks and a forced fumble. It's unclear how much he'll play right away, but is expected to rotate into the game on some passing downs. The Saints rank 23rd in total defence — 28th against the pass — but have been opportunistic. Defensive back P.J. Williams' past outing in Minnesota was a case in point. He was beaten several times on Minnesota receptions, but also helped force a fumble that resulted in one TD and ran back an interception for a score.